Noogiefest is a free Halloween/Fall Festival party for children and their families. Help make our 20 Years on the 20th an amazing experience by joining us for a hauntingly good time with themed rooms, games, crafts, door prizes and more! Children must be accompanied by an adult. Costumes encouraged. Free event open to the community. 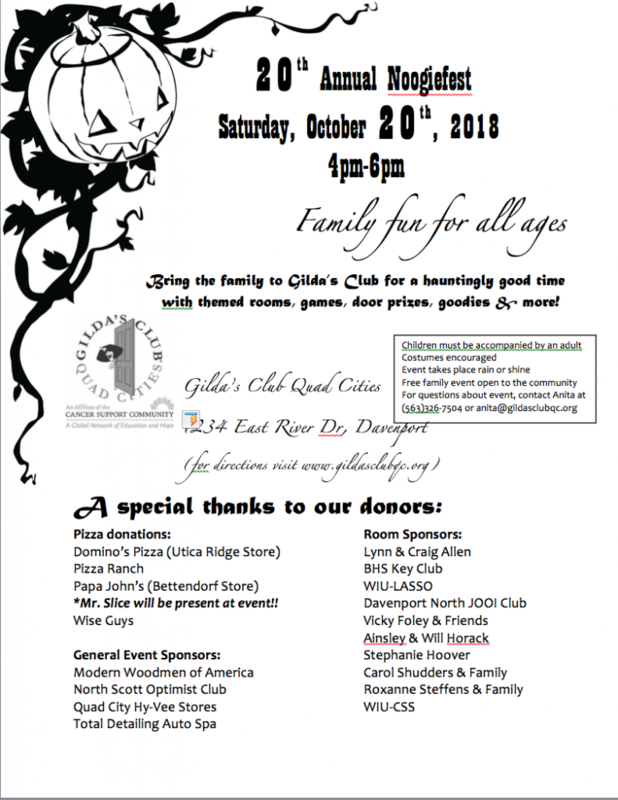 Event to take place rain or shine at Gilda’s Club. Family Fun for all ages!